First of all, get a suitable image to work on. 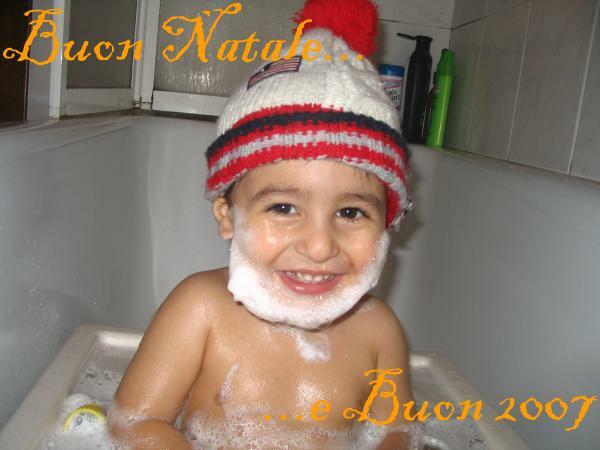 I had one handy: my child in his bath with a foam beard that made him look so similar to Santa Claus. If you took it with your digital camera it would be probably too big and heavy to comfortably fit into an email message, so the first thing to do is to scale it. I recommend to keep the wider side at 600 pixels, but 400 would be definitely better. 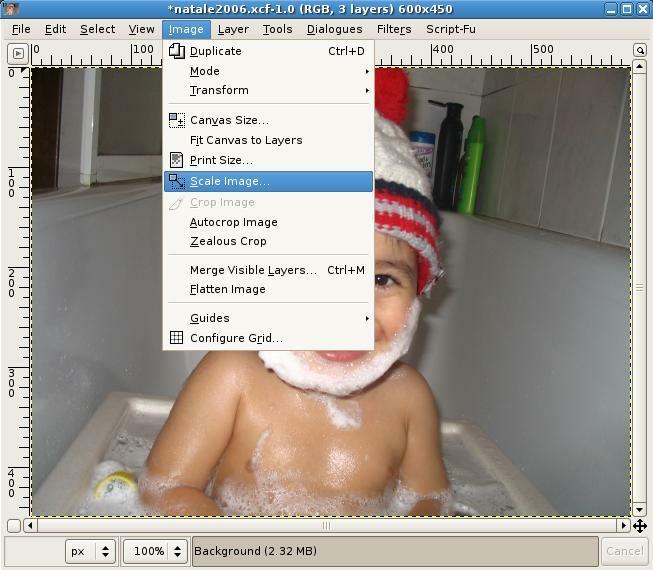 After that, select the text tool button in the GIMP's toolbox; find a nice typeface, a pretty color and an appropriate size, click on the image and write the text. If you don't like anything in the text attributes (say: the typeface) you can change it and have the text automatically reflect the change. That's all! There's nothing else to do, and nothing else to say. May this new upcoming year be the best one you ever lived!